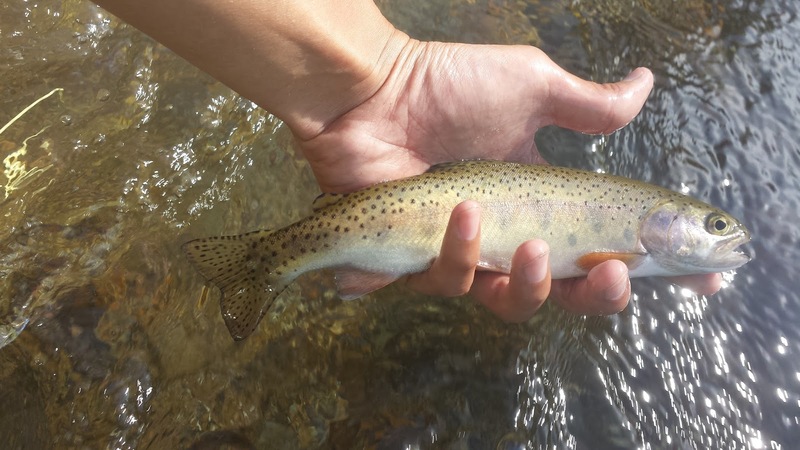 June is one of the best months to fish the Sierras. The high run-off on streams, creeks, and rivers are beginning to recede and the bugs are starting to become more and more active. 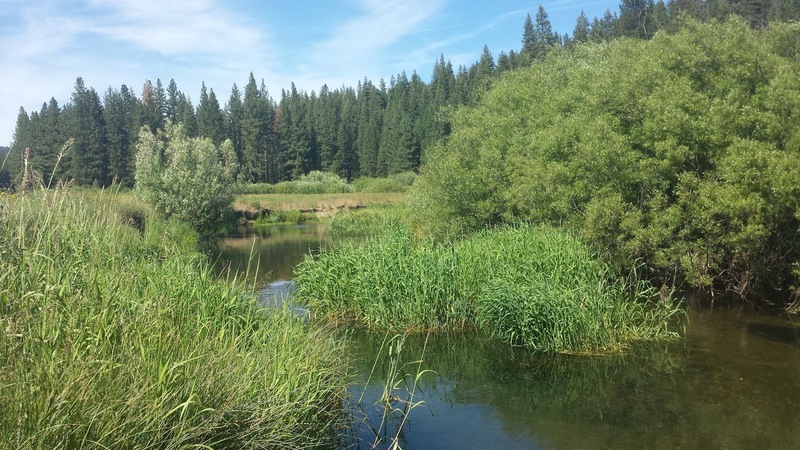 Hatches of midges, mayflies, caddis, and stoneflies will have fish actively looking for both nymphs and dries. This small spring creek was our first destination. Last year in June Amanda and I camped at Yellow Creek and had a fantastic time. 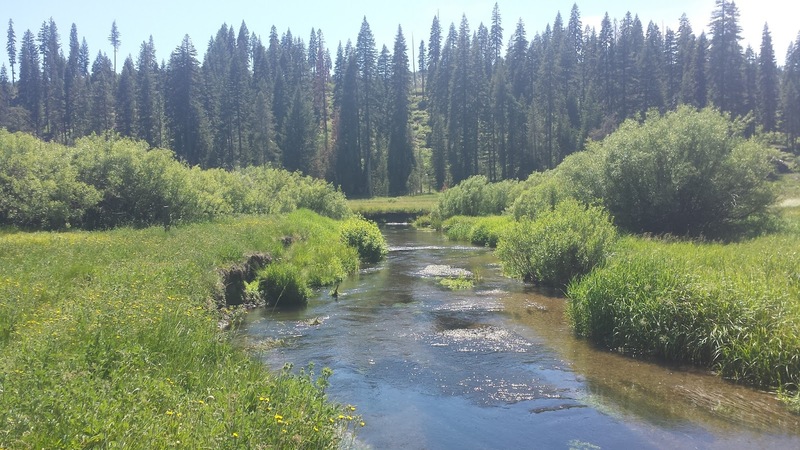 The fishing was a lot better last year because of the lower flows and warmer weather. 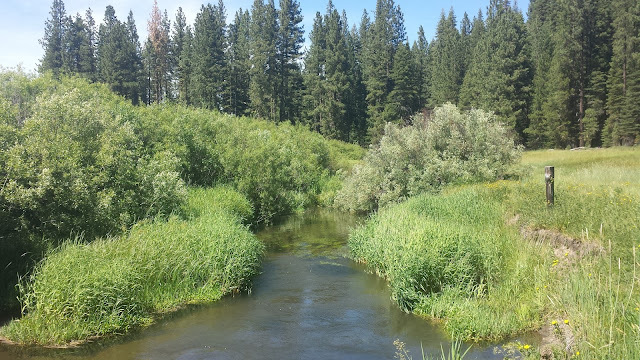 This year because of the good El Niño snowpack the creek was a bit high and the fishing was slow. No fish on dries this trip. 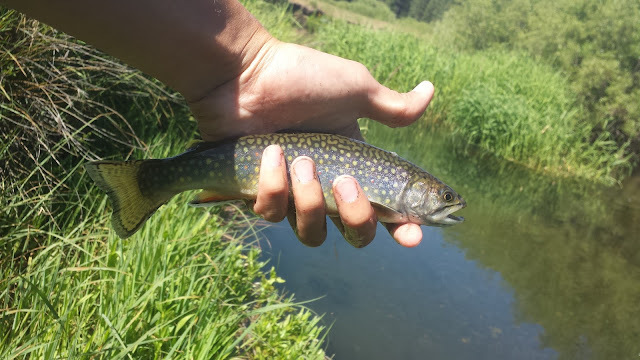 Although Yellow Creek is primarily known as a brown trout fishery, brook trout are usually the species that I catch the most. Nick and I switched between rigs several times and found that a heavy splitshot with a nymph plus dropper worked the best. 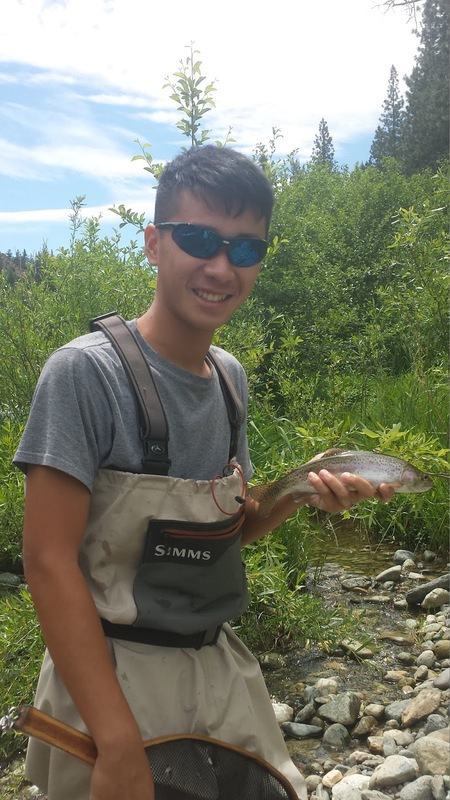 We sight fished for trout that were feeding in the slower water and had a good time. Yellow Creek is quite the beauty. The daily conditions were windy and overcast. The water had a tea color tint and was running high but lower than my last visit. 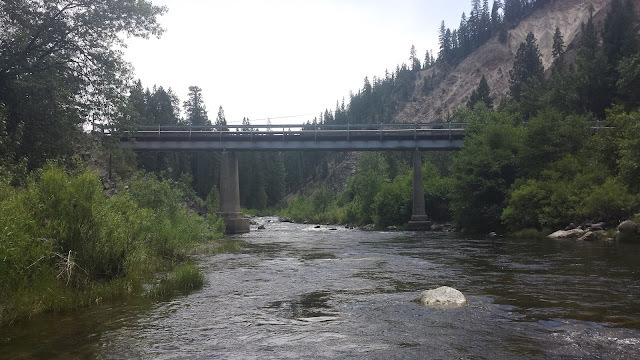 We started fishing below Quincy-LaPorte bridge and waded downstream. 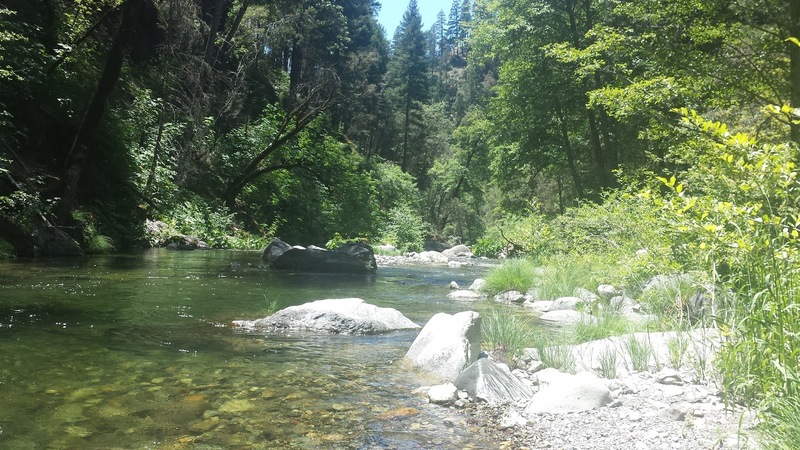 As we waded and fished we ran into two gear anglers who told us that they weren't able to entice any bites. We took to their report, walked downstream a bit, and then headed back to the car. Nothing. 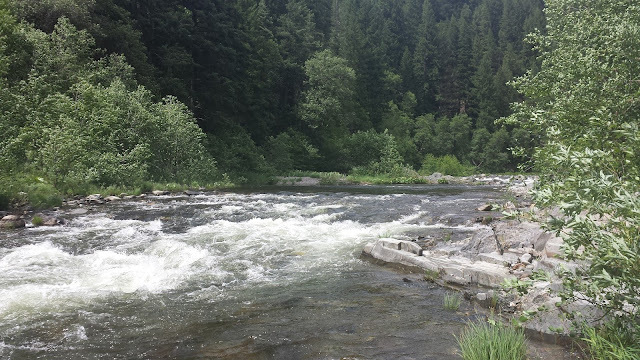 The next spot we fished was the Nelson Creek access. Unfortunately three fly anglers beat us to the access which made the fishing a bit lackluster. Nick hooked and lost two before filling his waders with water and calling it quits. I waded further downstream and was able to hook two nice Middle Fork bows. These wild fish were super jumpy which made the fight tough but exciting nevertheless. 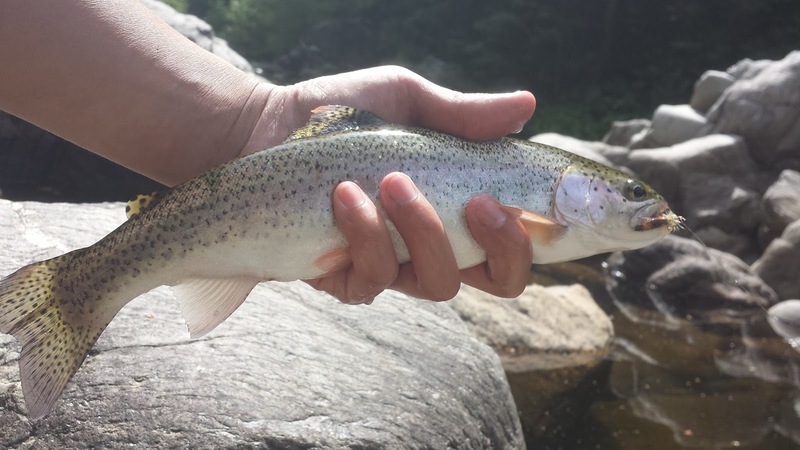 We tried streamers (which got a few grabs) and dries but nymphs were the go-to. 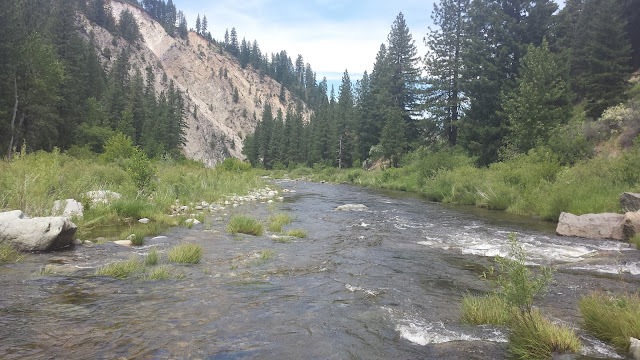 The following day we set out to explore a different part of the Middle Fork. The wind was milder and the weather was warmer this day making it much more comfortable to fish. The short stretch between Two Rivers and Camp Layman was our target. I had no experience fishing this section so it was a game of chance. This stretch had a few good holes but overall it wasn't that great. Nick had a good time hooking and landing three nice bows while I netted them. I personally got two into the net while losing another two. The water here looks like it gets unfishably low once the runoff ends. It's a good thing we timed this visit while it was high. We ended the trip with a short session at Lower Yellow Creek. The water here looked pretty good but we didn't have very much luck. Oh well, next time. Overall we had a good time. Coming up next... the Hex hatch! great report. Thanks for sharing the great pics! !